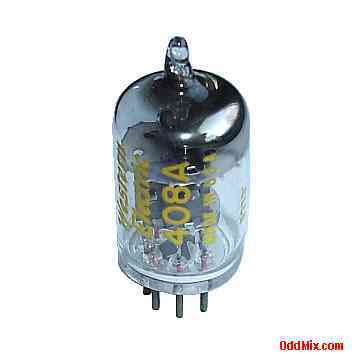 This is an original Western Electric 408A HF, UHF, RF pentode seven pin miniature electronic tube. Substitute is American type 6028. Developed to be used in low microphonic noise environments by Bell Telephone Laboratories for HF [High Frequency] and UHF [Ultra High Frequency] amplifier and oscillator applications. May be used for special purpose circuits, oscillators, RF amplifiers, circuit development, antique radio, television restoration projects or to set up a private vacuum tube museum. It is new, unused, OEM no-box electronic tube. Only one available.